A selective guide to research resources available at Columbia that are useful in beginning research. The Columbia University Libraries have an extensive collection of materials from and about Latin America, the Caribbean, Portugal and Spain, although they are not all located in a single physical space. The Avery Architectural and Fine Arts Library collects in architecture, fine arts, and archaeology. Butler Library holds materials on history and humanities, the Burke Library has resources for theology and religious studies, and Lehman Social Sciences Library contains social science materials, especially political and international affairs. 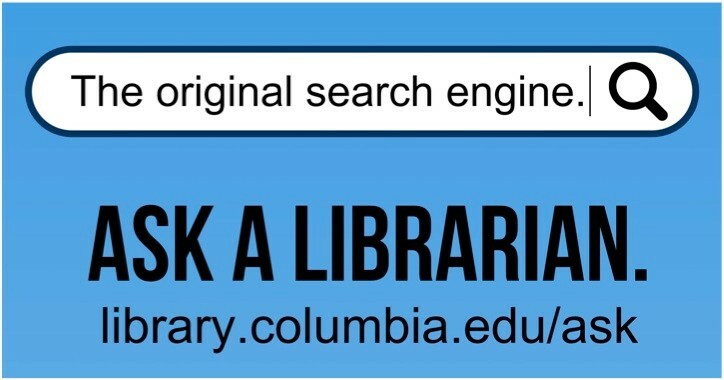 You should definitely explore Columbia Libraries' LibX widget, a plug-in that enables incredibly convenient right-click searching across CLIO and the web for a variety of print and electronic sources. You may also be interested in some help with citation management software (such as Zotero and End Note) to help streamline and organize your research.